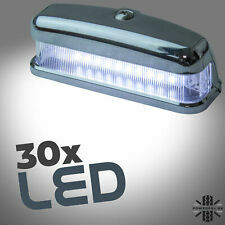 This rear number plate light will fit the rear of a Land Rover Defender - all models including the 90,110, SVX etc. This is an LED rear number plate lamp for a Land Rover Defender. fits Land Rover Defender. This is an LED rear number plate lamp for a Land Rover Defender. fits Land Rover Defender. These lights are a great 'easy-to-do' DIY upgrade for your Defender - with no special tools or knowledge needed. SKODA OCTAVIA II Combi (1Z5) 1.6 LPG Kombi 08.09 - 11.12 75 102 1595 8004-AIW. SKODA OCTAVIA II Combi (1Z5) 2.0 TDI 16V 4x4 Kombi 05.10 - 02.13 103 140 1968 8004-AFE. SKODA OCTAVIA II Combi (1Z5) 1.8 TSI 4x4 Kombi 11.08 - 02.13 118 160 1798 8004-AGT. Passat 3bg (only LIMOUSINE 10 / 2000-03 / 2005). Horn / signal horn. VW JETTA III (1K2) 1.6 Stufenheck 10.05 - 10.10 75 102 1595 0603-ACT. VW GOLF PLUS (5M1, 521) 1.9 TDI Schrägheck 05.05 - 12.08 66 90 1896 0603-ADD. Raptor 4x4 Tornado LED Number Plate Light Kit This Raptor 4x4 LED light kit is the latest edition to our 'Tornado' Lighting range! 6500k Colour Temperature. Includes Bracket for Number Plate Mounting and Fixings. Volkswagen Passat CC 2009 ->. Exact 6000K cool white colour temperature. Low power consumption. 24-SMD high power LED for maximum visibility. 2015 VOLKSWAGEN PASSAT CC Number Plate Lamp. This item has been removed from a: 2015 VOLKSWAGEN PASSAT CC. Model: PASSAT CC. Make: VOLKSWAGEN. Body Style: Coupe. Fuel type: Diesel. Factor Number Part Type: Number Plate Lamp. LongLife EcoVision indicator and interior lights are the best choice for drivers seeking optimal value. Which 12V lamp for which function?. Product authentication. Worldwide Service 12 Months Warranty. Rear muffler. Deflection / guide roller. Audi A6 C5 B Avant / Wagon 98 - 05. ABS / wheel speed sensor. Brake shoe set. LED recessed spotlight. Gas springs rear hatch. Horn / signal horn. Ford Mondeo Mk4 IV 2007 ->. Brightness Efficiency: 210 LM. Base: Ford. 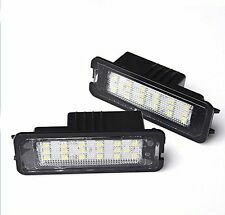 LED Quantity: 18 pc. Light Chip: Ultra bright 1210 SMD. We specialise in quality car light bulbs as well as HID xenon conversion kits and wiper blades. Fuel type: Petrol. 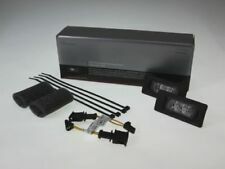 2006 PORSCHE 911 Number Plate Lamp. This item has been removed from a: 2006 PORSCHE 911. Model: 911. Make: PORSCHE. Body Style: Coupe. Part Type: Number Plate Lamp. Factor Number. 6000K white colour rated. Assembly design, complete unit include lamp's housing. No Can-Bus warning issues, No O.B.C. Advanced technology with OEM factory quality. DENSO's improved designs in mass air flow sensors utilizes a unique structure that reduces exposure to the sensing unit. Protecting the sensor from contaminants will help maintain performance accuracy and extend the life of the sensor. VW Polo 6R The VW Polo 6R is built since 06/09. from model year 2010. VW Scirocco III. The VW Scirocco III is built since 08/08. VW Eos The Volkswagen EOS is built since 07/06. from model year 2011. ColorVision adds a touch of colour to your car optics in blue, green, yellow or purple. Why buy from us?. Product authentication. Worldwide Service 12 Months Warranty. Lambda probe. Ford Mondeo MK2 (1996-2000). Rear muffler. Deflection / guide roller. ABS / wheel speed sensor. Ford Fiesta MK6 (2001-2008). Brake shoe set. LED recessed spotlight. BMW E90 E91 3 Series Pre-LCI Saloon Touring M Black Kidney Sport Front-Grill 05-. BMW 3 Series E90 E91 Pre-LCI Saloon Touring M Black Kidney Sport Front Grill 05-. BMW 5 Series E60 E61 Saloon Touring Black Kidney Sport Front Grill M5 03-10. Audi A5 2008 ->. Exact 6000K cool white colour temperature. Body Style: Saloon. Fuel type: Petrol. Make: PORSCHE. Part Type: Number Plate Lamp. Factor Number Door: Unknown. In the event that a part is supplied and proven to be incorrect or faulty, Hills Motors must be notified within 48 hours. LED Running & Turn Lights. 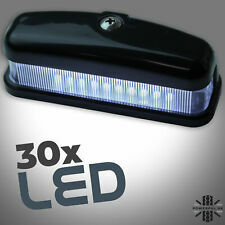 Car accessories & LED. Features LED. Unit quantity Set. We will rapidly find the best solution! - First Rate Service ! Car Cleaning Products. Rear bumper - Hi. Upgrade kit for LED number plate lights. Huntingdon Audi - Part of the Vindis group. S5 Sportback 2010-2012. S5 Coupé 2008-2011. S5 Cabriolet 2010-2011. S4 Saloon 2009-2011. S4 Avant 2009-2011. RS 5 Coupé 2010-2012. NISSAN GTR R35. 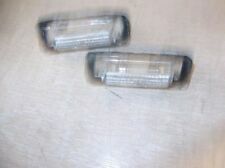 REAR NUMBER PLATE LIGHTS x2. VW Passat Cimousint 2001-2005. VW Passat Combi/Variant 2006-2008. VW Jetta 2005-2010. VW Golf 5 Plus 2005-2009. VW Caddy III 2004-2010. VW Transpiarter / T5 2003-2009. VW Touran 2003-2010. 18SMD qualitywafer, 10 23 chip, 3528 high light source, a single light source can up to 7LM or more. Side blinker. Rear muffler. Deflection-/. Audi A6 C5 B Avant / Wagon 98 - 05. LED recessed spotlight. Wheel speed sensor. Brake shoe set. Diesel particulate filter. 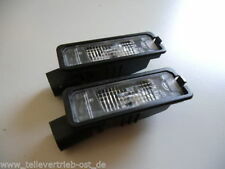 Original VW LED light - Golf VII - retrofit - 5 G 0052110. Customize your vehicle with the Volkswagen led. Golf 7 from 2013. Golf Sportsvan from 2014. E46 2-door Coupe facelift (2004-06). E46 M3 2-door Coupe facelift (2004-06). E46 2D facelift(04-06). E46 M3 facelift(04-06). Colour WHITE 6000K. Car Model BMW. Audi A8 D3 2002-2010. Car Model AUDI. 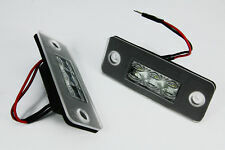 Replace module for bright cool white LED in Colour WHITE 6000K. 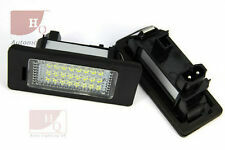 Bright light with best quality LED. 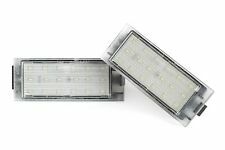 Advanced LED technology with LOW power consumption. Passat 3BG Variant (model 01-05). Tiguan (pre-faceliftmodel 07-11). Cayenne 9PA/9PA1 (model 02-10). Golf 5 Variant (model 07-09). Made by newest technology to support the electronic components of your car,ERROR FREE! Tiguan (pre-faceliftmodel 07-11). 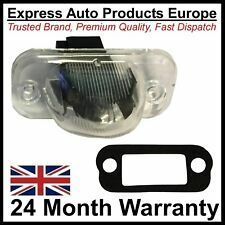 Audi Skoda VW Canbus Resistor for LED SMD Number Plate ERROR FREE Adapter. Audi Skoda VW Canbus Resistor for LED SMD Number Plate ERROR FREE Adapter-. Made by newest technology to support the electronic components of your car,ERROR FREE! Citroen C3 Pluriel - all models from the years 2003-2010. Citroen Berlingo - all models of the years of manufacture from 2008. Citroen C4 (combined sedan) - all models of the years of construction 2004-2010. This item has been removed from a: 2010 LAND ROVER DEFENDER. Model: DEFENDER. Part Type: Number Plate Lamp. Factor Number Year: 2010. Body Style: Estate. In the event that a part is supplied and proven to be incorrect or faulty, Hills Motors must be notified within 48 hours. 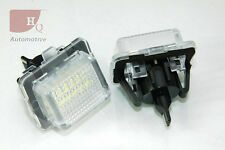 2011 AUDI Q5 Number Plate Lamp. This item has been removed from a: 2011 AUDI Q5. In the event that a part is supplied and proven to be incorrect or faulty, Hills Motors must be notified within 48 hours. Twingo 2 (models 2007-2014). Clio 3 (models 2005-2014). Clio 4 (models from 2012-). Fits the following Renault models Laguna 2/3 (models 04.2005-2015). Made by newest technology to support the electronic components of your car,ERROR FREE! An original VW Tiguan II (AD1) spare parts is available. The article is, unless otherwise stated in good used condition. Our articles are tested before sale to function. Possible defects are marked by us or detail in the pictures shown. W203 5D wagon/W211. W203 5D wagon. Colour WHITE 6000K.